3: Welded by skilled workers with 5 years experience. 4: Cast aluminum table top , and optional marble table top. 5: Waterproof furniture cover optionals 6: OEM customized 7: Extra strong carton packed for export by sea. 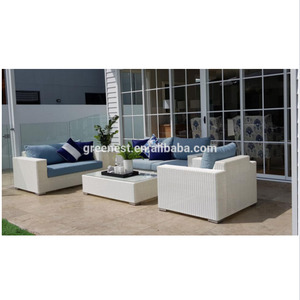 The cushion fabric is tarpaulin,and outdoor furniture special-padding--AA dolt cotton,comfortable environmental protection,waterproof,dustproof,breathable,UV protection. Our company is a professional furniture research and development, engineering support, production and marketing of indoor and outdoor furniture Limited. The company has a professional furniture research and development, production team supporting sales engineering and design staff, to provide customers with creative art furniture. 7 YRS Zhejiang Boke Industry & Trade Co., Ltd.
Wicker and Colors Our woven furniture is made from the finest quality man made wicker. They are filled with either mildewresistant urethane foam or wrapped with polyester fiber. but if you found parts lost or painting fall off, please take photos and notes the problems. 2 YRS Foshan Zoyi Outdoor Furniture Co., Ltd.
1 YRS Hangzhou Lodestone Import & Export Co., Ltd.
We could give you the best price and good service and good quality. We could sell as a whole set or sell as independence set. Our productions range: PE rattan sofa and table & chair set. 3 YRS Wuyi Youdeli Stainless Steel Products Co., Ltd.
Is a company specialized in design, development, production and sales of outdoor furniture. It brings more and more leisure and fashion for your sweet home and garden. Of course you can choose to use other material for longer warranty. 3 YRS Maicass Furniture (Dalian) Co., Ltd. Foam Why the seat of sofa and chair are sink or out of shape9 All because the foam density is not correct been on used. Q6. Any discount on prices9 A: We will consider to give discount especially to new customers, the discount ratio is based on your order quantity. Q8: How to deal with the faulty9 A: We will analyze the reason firstly and then give solution, give discount or ship newly furniture as replacement. 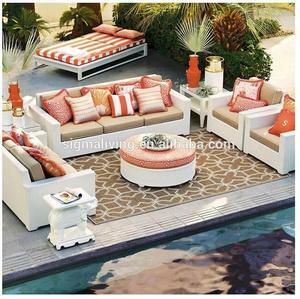 Alibaba.com offers 7,520 metal outdoor sofa products. About 40% of these are garden sofas, 27% are garden sets, and 11% are rattan / wicker sofas. 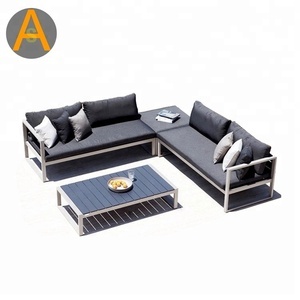 A wide variety of metal outdoor sofa options are available to you, such as garden sofa, garden set, and living room set. 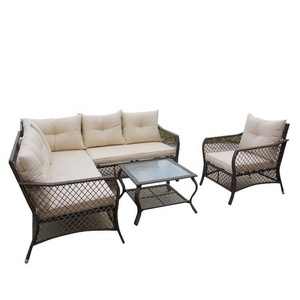 You can also choose from metal, rattan / wicker, and wood. As well as from no, yes. 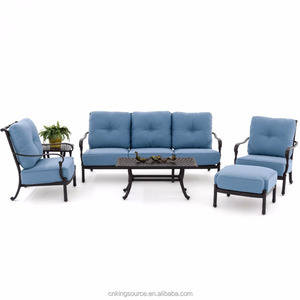 And whether metal outdoor sofa is leisure chair, fishing chair, or chesterfield sofa. 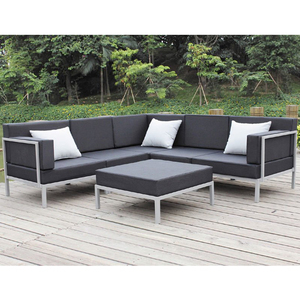 There are 7,520 metal outdoor sofa suppliers, mainly located in Asia. 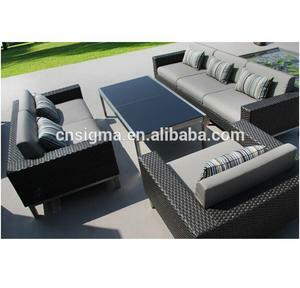 The top supplying country is China (Mainland), which supply 100% of metal outdoor sofa respectively. 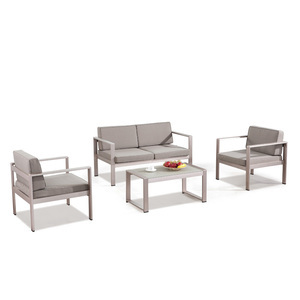 Metal outdoor sofa products are most popular in North America, Western Europe, and Northern Europe. You can ensure product safety by selecting from certified suppliers, including 1,097 with ISO9001, 506 with BSCI, and 449 with Other certification.